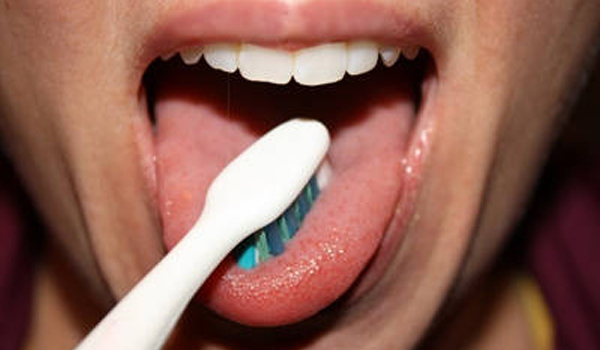 First thing in the morning, brush the teeth, the gums and the tongue to pull out toxins from the mouth. The best toothpowder has 2 parts potassium alum and 1 part salt. It draws out the mucus and the bacteria that has accumulated. Brush the root of the tongue until you gag and choke and your eyes water. The watering of the eyes is said to prevent cataracts. When you brush the back of the tongue and gag, two balls of mucus will come up from the “monkey glands”. These glands are responsible for collecting toxins that have drained from the system overnight. This should be done a few times. This mucus has to come out, otherwise it will go back into the body when you swallow, and pollute your system.